Dr. Josephs plans to accept a clinical graduate student to his laboratory for Fall of 2017. Dr. Josephs heads the Clinical Neuroendocrinology Laboratory at UT-Austin. 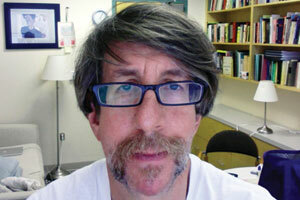 He is also a member of UT-Austin’s Institute for Neuroscience andUT-Austin's Institute for Mental Health Research. The primary research objective of the Clinical Neuroendocrinology Laboratory is to gain a better understanding of the etiology of mood and anxiety disorders. We borrow techniques from behavioral neuroendocrinology, molecular genetics, and social-personality psychology. We conduct field studies and laboratory experiments. Our field studies use longitudinal designs to look prospectively at the emergence of mood and anxiety disorders in populations exposed to high levels of stress and trauma. Our laboratory experiments employ a wide variety of pharmacologic agents to test various candidate mechanisms underlying the etiology of mood and anxiety disorders. Please navigate to the Clinical Neuroendocrinology Laboratory for more details. Statistics is a branch of applied mathematics. Understanding statistics is critical not only for those who work in science and related disciplines, but also for those who wish to understand the results of these efforts. David Brooks (http://en.wikipedia.org/wiki/David_Brooks_(journalist)) has laid out of list of eight essential things to do while in college. One of them is to take a course in statistics. Without a working knowledge of statistics, we are forced to rely upon the conclusions and interpretations of the authors and publicists of a study, and sometimes (believe it or not! ), those interpretations are misleading and just flat-out wrong: (http://www.senseaboutscience.org.uk/index.php/site/other/78/). It is hard to overstate the application of statistics. Whenever data are collected, statistics are used to analyze those data. For example, statistics form the interpretive basis of nearly all studies in medicine, psychology, neuroscience, public policy, economics, the biological sciences, and so on and so forth. In this course, you will be provided with the basic tools to understand, evaluate, conduct, and communicate behavioral research. Specifically, you will learn about frequency distributions, central tendency, variability, probability, hypothesis testing, t-tests (for independent and related samples), effect sizes, statistical power, estimation using confidence intervals, one-way and two-way analysis of variance (ANOVA), correlation, non-parametric statistics, including the chi-square statistic (goodness of fit and independence), the sign test, and several others, and binomial probabilities (including the binomial test and the test of a population proportion). Approximately the first two and one half weeks of the course focus on methodology and related issues, with the remainder of the course focusing on descriptive and inferential statistics. Because this is also an intensive writing requirement, you will be required to complete weekly writing assignments, a term paper, and an in-class oral presentation. Although this is not a course on computers, the use of computers is critical for data analysis, and the presentation of the results of experiments. To this end, we will familiarize you with a number of software applications, including but not limited to Excel, Word, PowerPoint, and SPSS. Statistics is a branch of applied mathematics. Understanding statistics is critical not only for those who work in science and related disciplines, but also for those who wish to understand the results of these efforts. David Brooks (http://en.wikipedia.org/wiki/David_Brooks_(journalist)) has laid out of list of eight essential things to do while in college. One of them is to take a course in statistics. Without a working knowledge of statistics, we are forced to rely upon the conclusions and interpretations of the authors and publicists of a study, and oftentimes (believe it or not! ), those interpretations are misleading and sometimes flat-out wrong: (http://www.senseaboutscience.org.uk/index.php/site/other/78/). It is hard to overstate the application of statistics. Whenever data are collected, statistics are used to analyze those data. For example, statistics form the interpretive basis of nearly all studies in medicine, psychology, neuroscience, public policy, economics, the biological sciences, and so on and so forth. In this course, you will be provided with the basic tools to understand, evaluate, conduct, and communicate research. Specifically, you will learn about frequency distributions, central tendency, variability, probability, hypothesis testing, t-tests (for independent and related samples), effect sizes, statistical power, estimation using confidence intervals, one-way and two-way analysis of variance (ANOVA), correlation, the chi- square statistic (goodness of fit and independence), and binomial probabilities (including the binomial test and the test of a population proportion). Approximately the first two and one half weeks of the course focus on methodology and related issues, with the remainder of the course focusing on descriptive and inferential statistics. Because this is also an intensive writing requirement, you will be required to complete weekly writing assignments, a term paper, and an in-class oral presentation. Statistics is a branch of applied mathematics. Understanding statistics is critical not only for those who work in science and related disciplines, but also for those who wish to understand the results of these efforts. David Brooks, the columnist who writes for the New York Times, is a commentator on “The Newshour with Jim Lehrer” and is also a frequent analyst on NPR’s “All Things Considered”. He has laid out of list of eight essential things to do while in college. One of them is to take a course in statistics. Without a working knowledge of statistics, we are forced to rely upon the conclusions and interpretations of the authors and publicists of a study, and oftentimes (believe it or not! ), those interpretations are misleading and sometimes flat-out wrong: (http://www.senseaboutscience.org.uk/index.php/site/other/78/). It is hard to overstate the application of statistics. Whenever data are collected, statistics are used to analyze those data. For example, statistics form the interpretive basis of nearly all studies in medicine, psychology, neuroscience, public policy, economics, the biological sciences, and so on and so forth. In this course, you will be provided with the basic tools to understand, evaluate, conduct, and communicate research. Specifically, you will learn about frequency distributions, central tendency, variability, probability, hypothesis testing, t-tests (for independent and related samples), effect sizes, statistical power, estimation using confidence intervals, one- way and two-way analysis of variance (ANOVA), correlation, linear regression, the chi-square statistic (goodness of fit and independence), and binomial probabilities (including the binomial test and the test of a population proportion). Approximately the first three weeks of the course focus on methodology and related issues, with the remainder of the course focusing on descriptive and inferential statistics. Because this is also an intensive writing requirement, you will be required to complete weekly writing assignments and a term paper. PSY 301 with a grade of at least C, M 302 or higher-level mathematics course, and a major in psychology. Understand, evaluate, conduct, and communicate scientific research. Basics of research methodology and statistics. First four weeks focus on methodology, remainder focuses on descriptive and inferential statistics. Although this is not a course on computers, the use of computers is essential in the analysis and presentation of the results of experiments. We will familiarize you with a number of software applications, including Eudora, Excel, Microsoft Word, PsychInfo, and SPSS. A series of weekly written assignments due in lab, worth approximately 10% of your final grade. A term paper worth approximately 20% of your final grade. The term paper assignment will involve teaming up with 2-3 of your classmates and generating a new research idea that you will empirically test. 10% of this grade will come from anonymous evaluations of you by your groupmates. Three exams worth about 30% of your final grade. The first exam will cover methods; the latter two will cover statistics. A Power Point in-class presentation worth about 10% of your final grade. A non-comprehensive final exam worth approximately 30% of the final course grade. This exam will test your knowledge of statistics, but will not examine research methodology. The final exam will composed of a variety of question types, including fill-in-blank, multiple choice, true/false, and essay. A term paper worth approximately 20% of your final grade. The term paper assignment will involve teaming up with 2-3 of your classmates and generating a new research idea that you will empirically test. 10% of this grade will come from anonymous evaluations of you by your groupmates. Three exams worth about 30% of your final grade. The first exam will cover methods; the latter two will cover statistics. A Power Point in-class presentation worth about 10% of your final grade. A non-comprehensive final exam worth approximately 30% of the final course grade. This exam will test your knowledge of statistics, but will not examine research methodology. The final exam will composed of a variety of question types, including fill-in-blank, multiple choice, true/false, and essay. Suter, W. Newton, & Lindgren, Henry Clay (1989). Experimentation in Psychology: A Guided Tour. Boston, MA: Allyn and Bacon. (SL). Pickup photocopy at Paradigm. 407 W 24th St. 472-7986. You might also be able to find it cheaper online. Interactive Statistics (IS). Available at the University Coop Bookstore, 2246 Guadalupe. Austin, TX 78705. Ph: 476-7211. You might be able to find it cheaper online (new or used). A calculator. Must be able to perform square roots. Course Objectives: First and foremost, to have fun. Second, to understand, evaluate, conduct, and communicate research in behavioral science. To this end, you will be expected to master the basics of research methodology and statistics. Approximately the first three weeks of the course focus on methodology and related issues, with the remainder of the course focusing on descriptive and inferential statistics. Also, there are numerous writing assignments. Although this is not a course on computers, the use of computers is essential in the analysis and presentation of the results of experiments. To this end, we will familiarize you with a number of software applications, including but not limited to Excel, Word, PowerPoint, and SPSS. If you turn in the submission late (past the deadline) by more than 1 minute, you will receive half credit. If you are late by more than 24 hours, you will receive no credit. Writing Center: I strongly encourage you to use the Undergraduate Writing Center, FAC 211, 471-6222: <http://uwc.utexas.edu/home>http://uwc.utexas.edu/home). The Undergraduate Writing Center offers free, individualized, expert help with writing for any UT undergraduate, by appointment or on a drop-in basis. Any undergraduate enrolled in a course at UT can visit the UWC for assistance with any writing project. They work with students from every department on campus, for both academic and non-academic writing. Whether you are writing a lab report, a resume, a term paper, a statement for an application, or your own poetry, UWC consultants will be happy to work with you. Their services are not just for writing with "problems." Getting feedback from an informed audience is a normal part of a successful writing project. Consultants help students develop strategies to improve their writing. The assistance they provide is intended to foster independence. Each student determines how to use the consultant's advice. The consultants are trained to help you work on your writing in ways that preserve the integrity of your work. The methods and statistics component involves four exams and is worth 215 points. The first exam will cover methods and is worth 35 points; the next two will cover statistics and are each worth 40 points. The final exam is a comprehensive statistics exam (does not cover methods) and is worth 100 points. Grades: Except for the four exams, the class is NOT graded on a curve. Thus, in principle, everyone in the course could earn an "A". Research has indicated that absolute grading, as opposed to grading on a curve, encourages cooperation rather than competition because your course grade cannot benefit from poor performance on the part of your classmates. The exams are curved in manner that has become standard for math and physics classes. The top three scores are averaged, and then the difference between this average and a perfect score is added to everyone’s score. For example, if the average of the top three scores on the 2nd exam is a 35, then everyone in the class receives an additional 5 points. There is no extra credit and there are no makeup exams. Out of respect for your classmates, please turn off or do not bring to class noise-emitting electronic devices. These include beepers, cell phones, and watch chimes. The University of Texas at Austin provides upon request appropriate academic accommodations for qualified students with disabilities. For more information, contact the Office of the Dean of Students at 471-6259, 471-4641 TTY. Students who violate University rules on scholastic dishonesty will be summarily referred to the Office of the Dean of Students. This office (and not your instructor) will resolve the case. Although the University of Texas at Austin does not have a formal Honor System, by enrolling in this class you are agreeing to abide by certain rules and regulations. You will abide by the Honor System that is set in place by the McCombs School of Business. Specifically, you vow not to lie, cheat or steal, or commit any act of fraud, nor will you tolerate those who do. Furthermore, by enrolling in this class, you understand that any violation of these principles may result in your dismissal from the University. Changes to paper deadlines, exam dates, etc. are announced in class. You are responsible for announcements that are made in class. Due to the inevitable and unavoidable problems that are associated with electronic mail, your all-knowing instructor cautions you not to rely on this unreliable method of communication. That said, he will send out email announcements. However, all official class business will be conducted during lecture and lab. If you miss a lecture or lab, you are responsible for determining what you missed. The Psychology Department will drop all students who do not meet the ?following prerequisites: PSY 301 with a C or better; Math 302 or a ?higher level mathematics course; and a major in Psychology. The University of Texas at Austin provides upon request appropriate ?academic accommodations for qualified students with disabilities. ?For more information, contact the Office of the Dean of Students at ?471-6259, 471-4641 TTY. Exam I (does not cover IS) Stats intro/Freq Distr. OH: Wednesdays, 2-4 pm, and by appt. Suter, W. Newton, & Lindgren, Henry Clay (1989). Experimentation in Psychology: A Guided Tour. Boston, MA: Allyn and Bacon. (SL). Pickup photocopy at Paradigm. 407 W 24th St. 472-7986. The lab, or writing component is worth 132 points. Your TA will cover these assignments in greater detail in lab. Students who violate University rules on scholastic dishonesty will be subject to disciplinary penalties, including expulsion from the University. Although the University of Texas at Austin does not have a formal Honor System, by enrolling in this class you are agreeing to abide by certain rules and regulations. You will abide by the Honor System that is set in place by the McCombs School of Business. Specifically, you vow not to lie, cheat or steal, or commit any act of fraud, nor will you tolerate those who do. Furthermore, by enrolling in this class, you understand that any violation of these principles may result in your dismissal from the University. FINAL EXAM: DECEMBER X, 2009 (3 HOURS). Supervised reading in selected topics of significance; area of intensive study is chosen by the student in consultation with the instructor. Individual instruction. May be repeated for credit. Offered on the pass/fail basis only. May not be counted toward a major in psychology. Prerequisite: Upper-division standing, Psychology 301 with a grade of at least C, and consent of instructor.